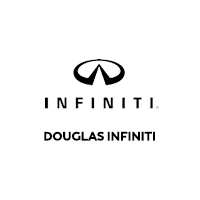 At Douglas INFINITI we can handle any body repair on any vehicle that can possibly be repaired. No matter how big or small, we can take care of your vehicle, and we can take care of you. The Douglas name has been in this community since 1965, and we have never led you astray. We will take the time to do your body work right. Our staff is expertly trained to fix any body damage that you might have. We will walk you through the entire process and make sure that you have nothing to worry about. We will not just make sure that your vehicle looks right, we will make sure that it is right. That means that you will always get a safe and sound vehicle out of our body shop. Our facility is fully equipped to provide you with all the body work that you need. We have one of the largest body shops in the area and we have all the tools and precision systems to ensure that we can work with pretty much any insurance company in New Jersey. That means you will not have to worry we will take care of anything and everything. Even if you just had a collision and are not sure what to do next, you should give us a call, even if you do not intend on using our shop. We will take the time to guide you through any confusion that may be in front of you. We are a Direct Repair Facility for most of New Jersey’s top insurance companies. This means that you can trust us to get your vehicle back in working order. You do not have to worry, because we will work with your insurance company directly. When you get into a collision, you have enough on your mind, let us worry about your vehicle. It will not just look right, it will drive right and it will have the safety that you want and need from a vehicle. We also have a complimentary shuttle service. This way you can get back to your life while we work on making your vehicle look like it was new again.